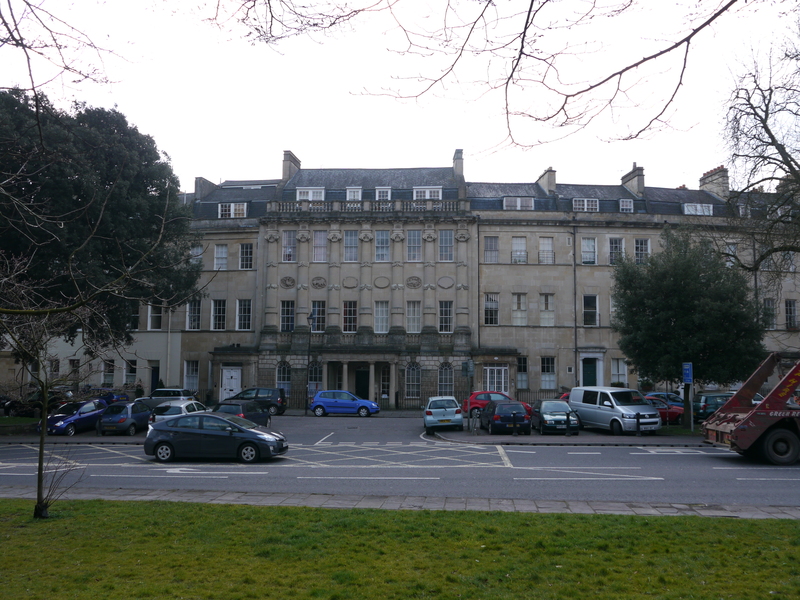 Lost in a mass of parked cars behind metal fencing on one side of the London Road is what survives of another Bath architect’s dream to create an exclusive Georgian square next to the River Avon. The central frontage at Grosvenor Place. Grosvenor Place was built by John Eveleigh as the northern range of an enclosed space he was aiming to put around the newly opened Vauxhall Gardens next to the river. Although little remains of the gardens, their advertised features included an aviary, temple, labyrinth, swings, a grotto and saloon with organ. 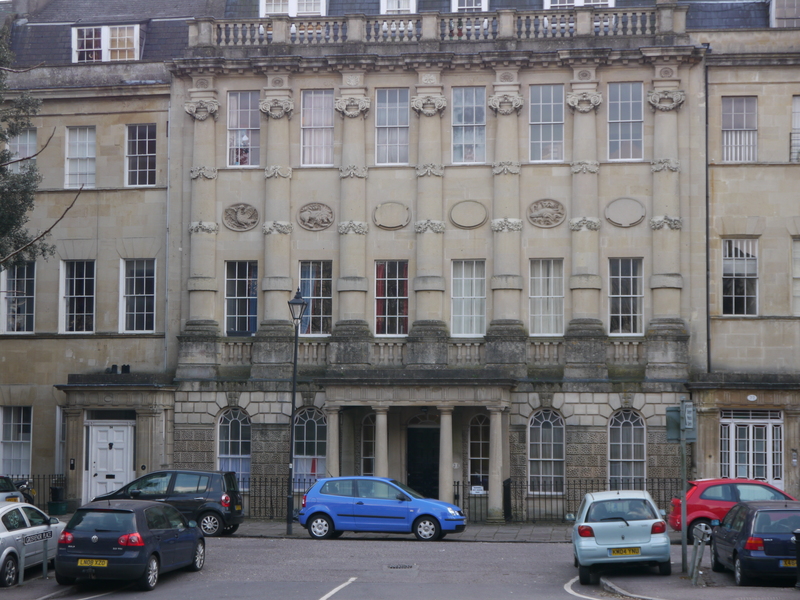 David Gadd, writing in Georgian Summer: The Rise and Development of Bath, says it was the only scheme during that Georgian building boom devised to integrate the Avon into the city, but collapsed through lack of money. Writing in 1971 he said, ‘No one since Eveleigh‘s day has used the river as a feature in the architectural planning of the city, and thus one of its main natural beauties has been almost entirely neglected. It is hard to think of any other city with architectural pretensions where the existence of a river has not been seized up on and made a central feature’. In the centre of the one range of houses that survives is the building that was to have been an hotel – although never completed as such. A giant Ionic order stands on a rusticated base and in the centre was the entrance through to the riverside pleasure gardens. The decoration of the facade remains unfinished to this day. It’s good to know, with the creation of a River Regeneration Trust, that there are now people prepared to pick up the torch from Eveleigh and try and bring the Avon back into our city’s life by exploring its potential properly.